You feel so much stress when it gets cold outside that contracting a cold or flu is far more likely. If you want to avoid time off work and that foggy, achy feeling, consider these great DIY recipes that will knock out that virus before it gets a chance to take hold! 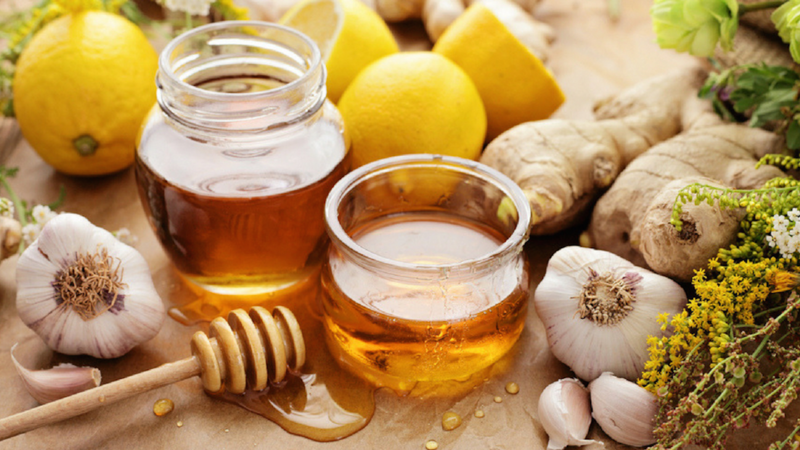 The antimicrobial properties of honey and garlic are wonderful for stimulating your immune system. 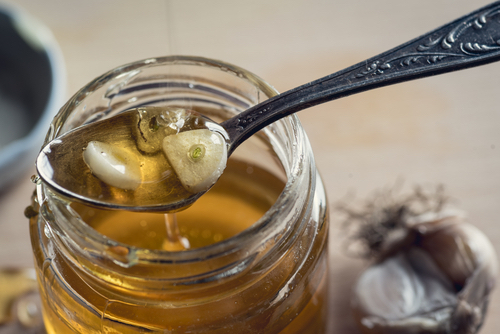 Both garlic and honey have been shown to improve your body’s defences against viruses and bacteria. When you feel a cough coming on, this paste calms the irritation quickly. Try a heaping teaspoon before a meal by itself or diluted in some warm water. Ideally, consume this every day for 7 days in a row to ensure immune boosting. You can also add this mixture to salad dressings. Chop garlic cloves into small pieces or press using a garlic press. The chopping process releases allicin (the active anti-biotic). Pour honey into the glass jar and stir in the garlic. Close the lid and store in a dark place for one week. After this time, you’ll have a rich, healthy syrup. 2. Fire Cider – Apple Cider Vinegar With Spices! Fire Cider was first made famous in Rosemary Gladstar’s book, Herbal Recipes For Vibrant Health. This recipe is adapted to be mild so that even with digestive concerns, you can enjoy it as well. You'll need a 1L/1 quart Mason jar™ and a 250mL/1 cup Mason jar™. Add ginger, horseradish, turmeric, garlic, onion and lemons to the 1L/quart-sized wide mouth Mason jar™. Pack them down slightly, until the jar is about 3/4 full. Fill the 250mL/1 cup small Mason jar™ with water to use as a weight to hold down the veggies/roots and put it atop the ingredients in the 1L jar. Pour a generous amount of apple cider vinegar over the roots/vegetables. You want everything to stay under the liquid to prevent spoilage. Keep in mind that some of the roots will expand a little so top it off well. If you’re using a metal lid, line it with parchment paper so that the vinegar doesn’t corrode it, then put the lid on. Place in a dark, room temperature cabinet for 2-4 weeks. Check on it every few days. Avoid the basement or damp spaces due to mould. When the cider is ready, shake well and then strain the contents using a fine mesh strainer or cheesecloth. Add honey to taste and store in the fridge. I often add the leftover veggies to a soup stock (warning: the soup will taste tart and strong if you choose to do this). When it comes to clearing up a sore throat, cough, cold, bronchitis or any other issue that affects your respiratory system, honey-sweetened elderberry syrup might be your best choice. Elderberry contains bioflavonoids like anthocyanins that can soothe inflammation. This syrup also acts as an expectorant to clear out phlegm. Elderberries are anti-viral and have been used to fight colds and the flu for centuries. You must cook elderberries, so avoid tasting until you finished your syrup making. If you are unsure if the variety of elderberries you're using is edible, consult your local herbalist/foraging expert before consuming. This recipe also works for mulberries if you have them on hand. Make sure the cookware you're using is glass or stainless steel and your clothes are stain-friendly. Add water, elderberries and ginger/cinnamon (if using) to a pot and bring to a boil. Reduce heat and simmer until liquid is reduced by half. Approximately 45 minutes. Transfer syrup to a jar and store in the refrigerator. Makes about 2 cups. Lasts 6 months in the refrigerator. Add 4-5 pieces of sliced, dried astragalus or ginseng root to your next soup to help build up your immune system for winter. Astragalus (aka Huang qi) or ginseng, along with medicinal mushrooms (i.e. shiitake or maitake), are available at Asian grocery stores. 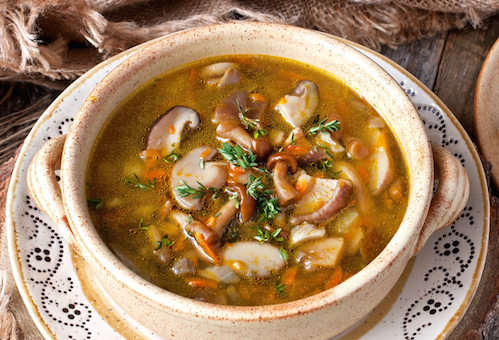 Consider having a big jar of astragalus root by your stove to boost your healthy homemade soups this season. 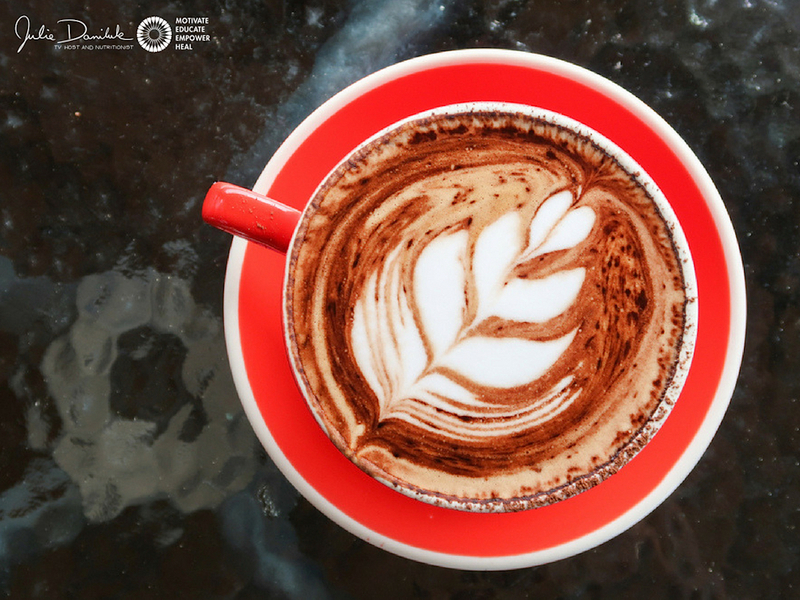 Goji berries make a fantastic base for a warm, Autumn latte that is sure to please. Considered both a fruit and an herb, goji berries are brimming with Vitamin A, B-complex and Vitamin C to fight off infection. Coconut is rich in capryic acid, which is also anti-fungal. Soak goji berries in 1 cup of warm water for 30 minutes, then drain well. Place soaked goji berries, hot water and spices into a blender and blend on high for 20 seconds. Heat coconut milk on the stovetop until warm. Add to the blended berry mixture and blend for 1 minute on high. Add raw honey at the end (to preserve health benefits) and blend for a few seconds until mixed well.